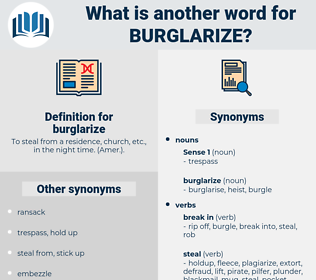 What is another word for burglarize? 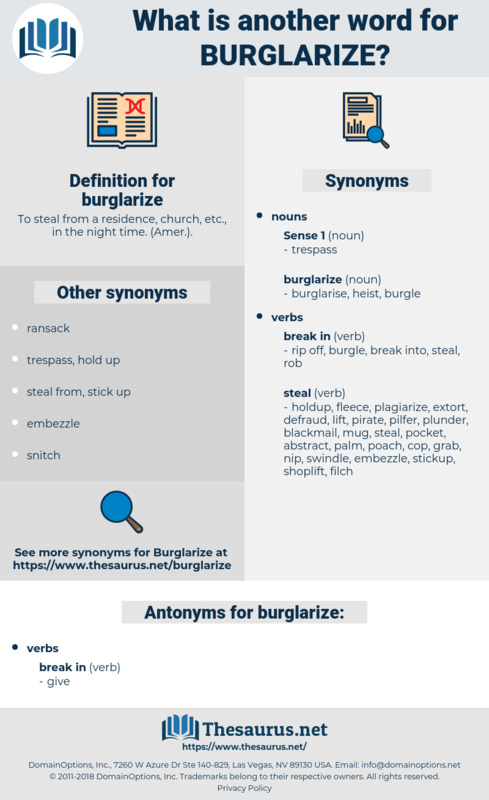 To steal from a residence, church, etc., in the night time. ( Amer. ).